A glowing skin is everyone’s dream today. Men have joined the bandwagon too. Peoples’ bathroom cabinets are replete with bottles of skin care creams, lotions and gels. It’s a jungle out there and we are spoilt for choice. Thousands are spent every month on various OTC and neutraceutical skin care products. There can be some hits and some misses. But most often, the success of any skin care ritual lies in its first step – cleansing. Not just cleansing, but deep cleansing ! The first secret to glowing skin is deep cleansing, and if it were to be effective, one round of water cleansing is never enough to draw out the deeply embedded impurities and sebum. Not many are aware of this fact and hence they pay less attention to it. I have been on this deep cleansing regime for a while now and have seen extraordinary results. Compliments too ! I have been battling dry skin and uneven skin tone for years; have used several pharmaceutical products, but the results have been far from satisfactory. 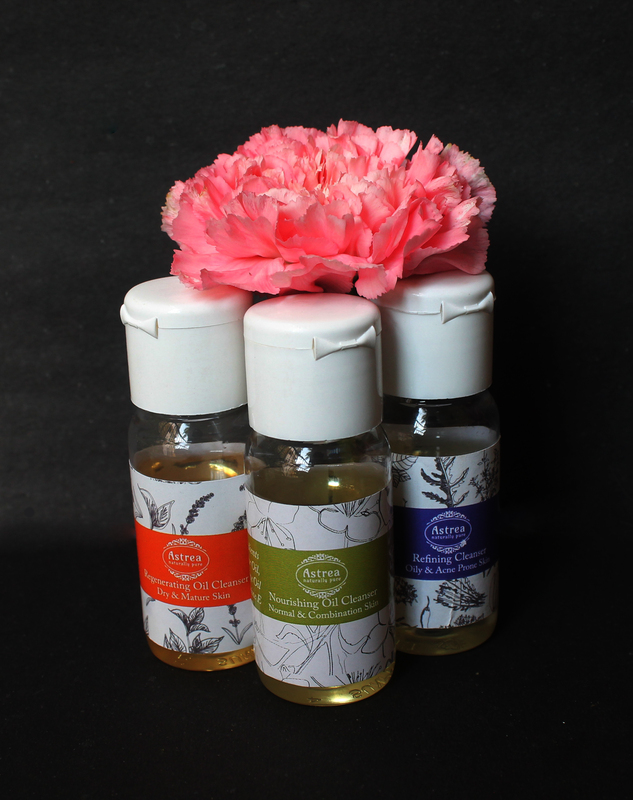 All that changed when I found ASTREA, a Chennai based natural skin care brand last year and since then, my skin has felt and looked the healthiest. And yes, I began with deep cleansing as the first solution to my skin issues. 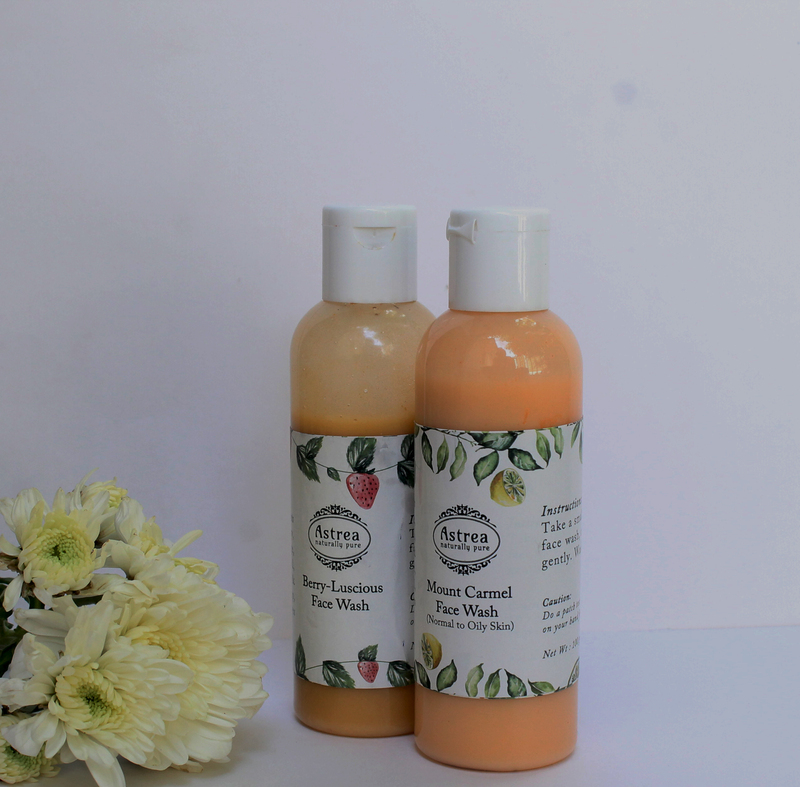 Astrea has developed a set of cleansers which leave the skin thoroughly cleansed and mildly exfoliated, thereby revealing radiant, glowing skin. Koreans whose skin care regime has become the holy grail world over, recommend double cleansing twice a day, every single day. Astrea is Chennai’s answer to K-beauty skin care regime for they believe in layering of cleansing, toning and moisturising. What Is Deep Cleansing ? Deep cleansing is nothing but double cleansing. It starts out with using an oil cleanser, followed by a foam cleanser. Yes, we need two different formulas to thoroughly cleanse the face. 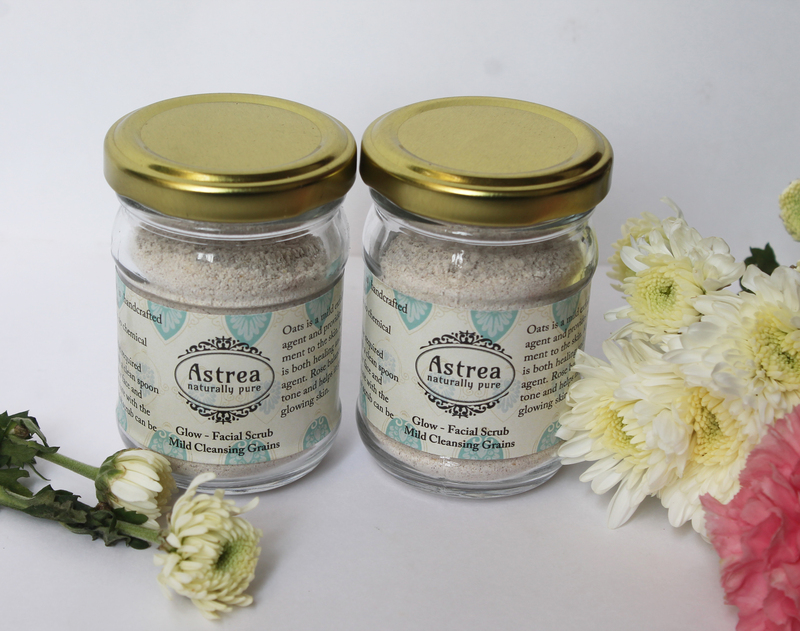 And at Astrea, they have added an almost magical formulation, the cleansing grains that ever so gently exfoliate, leaving the skin clearer, brighter and radiant. I do this regime twice a day, morning in the shower, and just before I go to bed at night. The first tip to discovering a luminous, youthful look naturally, is to begin with oil cleansing. Yes, even for oily skin. Surprised ? Why oil cleansers you ask ? Because oil dissolves oil! Oils pre-exist in our skin, either as sebum or those from our makeup. No matter what type your skin is, cleansing oils mix with these ‘not-so-good’ oils and draw them out. Something that water based cleansers cannot, because oil and water do not mix ! Secondly, oils in the cleansers bind to surface impurities, pulling out the dirt without clogging pores. Third in point – oil cleansers help retain our skin’s natural pH balance, which again water based cleansers cannot. It’s the Koreans who popularised oil cleansing, but it’s not really only their secret. It’s an age-old practice, which got diluted when pharmaceutical and cosmetic companies misled us by promoting surfactants laden cleansers to grow their businesses. For, the damage caused by chemicals allowed them to promote related products that they promised would replace the lost oils and balance the skin. Here, I am saying don’t lose the oils in the first place. Go the natural way. Be naturally you ! After the oil cleansing, we need to remove the residual oil on the skin and a foaming cleanser does exactly that. It also draws out water-based debris such as sweat and the dislodged dirt from the skin. A word of caution – choose your foam cleanser wisely, one that has as less chemicals as possible. Any product that lathers contains oodles of surfactants which dry up the skin by stripping it of natural oils. Squeaky clean is a myth; more foam the better is a myth ! I would recommend aiming for healthy clean instead – cleansing, without losing skin’s natural pH balance. K-Beauty’s next step after oil and foam cleansing is the exfoliation, which staves away dead skin cells and debris from the skin. But Astrea, with their amazing formulation of cleansing grains has included them in the deep cleansing regime. Here is the why and how. This product contains Kaolin clay, colloidal oats (powdered oats) and crushed rose petals. Kaolin clay and colloidal oats very gently exfoliate and relieve the skin of any dead skin cells that may be sticking to it despite the above described double cleansing. With every passing year, the quality and texture of our skin changes and loses its capacity to shed dead cells on its own. This is where cleansing grains step in. Rose petals contain natural oils and sugars that lock moisture into dry skin cells and give them a rejuvenated look. This product that doubles up as a daily face wash and an exfoliator can be used even twice a day every day since it contains zero chemicals and the grains are soft and mild. My day is incomplete without these cleansing grains. So, this 3-step deep cleansing should be done morning and night. To remove all the pollutants, makeup, dirt, sweat and sebum of the day use it just before you go to bed. Here is why you should do it in the morning too. I am assuming that you all know the benefits of moisturising at bedtime in order to let skin heal and regenerate. We need to remove all traces of the residual oils of the night. Some may not feel the need to use cleansing grains in the morning, but it is a personal preference for me as they leave the skin appearing brighter and fresher. I hope I have taken you through the nuances of deep cleansing and its now time to make informed choices. Like I said earlier, there is a plethora of choice out there and I hope to help you zero in on choosing the right natural face cleansers. 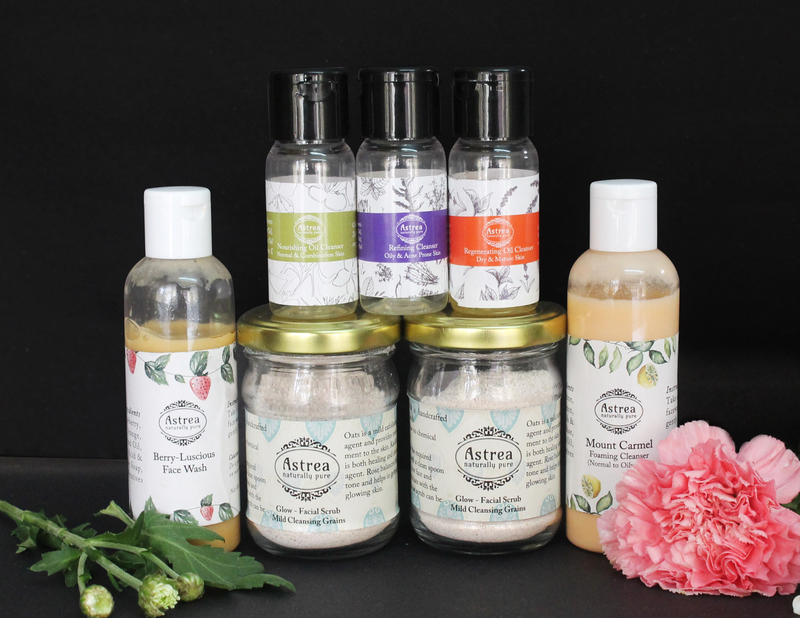 Here is Astrea’s lineup of deep cleansing products. A blog post on the specifics of each cleanser in my next. Suffice it to say now that Astrea is a completely natural skin care brand with zero chemicals and natural preservatives.